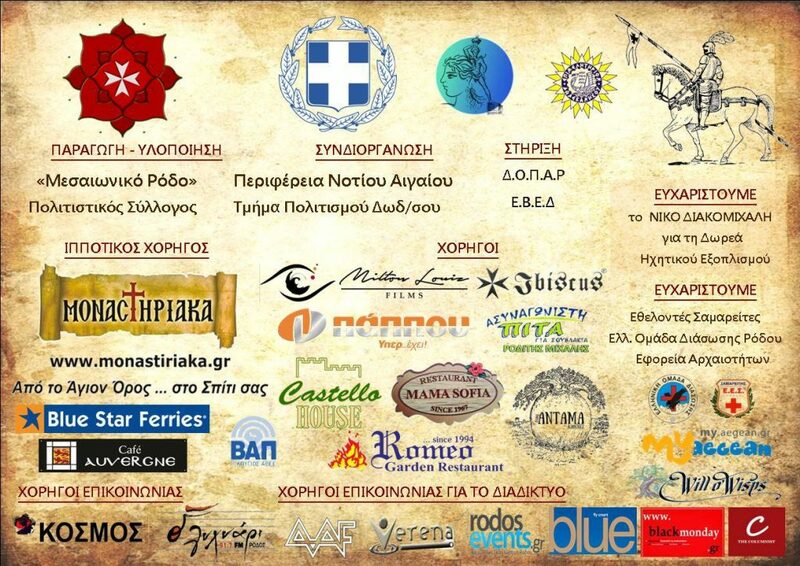 Mama Sofia supports and sponsors the Annual Medieval Rose Festival. The 11th Medieval Rose Festival will be held on 26 – 28 May 2017. Agenda of events will be announced shortly. 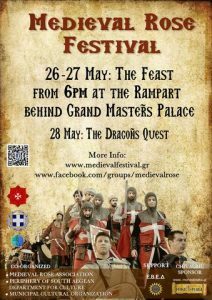 Organizing an annual Medieval Festival within the walls of the Medieval Town of Rhodos! The “Medieval Rose” is a non-governmental, non-profit association, which was recently established (2005) with the ambitious but realistic aim of organizing an annual Medieval Festival within the walls of the Medieval Town of Rhodos – the best preserved, while continuously inhabited, surrounded by walls and moat, medieval town in the world (monument of cultural and architectural world heritage – UNESCO 1988). 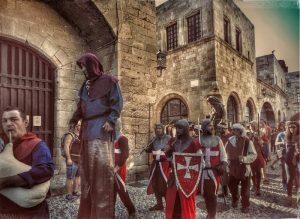 The Festival comprises scenes of everyday life in the Medieval Rhodes, as well as relevant cultural events. This is achieved through the co-operation of the organizing committee with historians, archaeologists, actors, musicians, performers, visual artists and craftsmen. An additional effort is made to attract as many volunteers as possible, as the Festival is not just “a theatrical play”, but aims at the active participation of every person entering the gates of the medieval town. The old town of Rhodes is a living settlement of some 150 acres (including the walls and the Moat) with a population of approximately 6.000 who live and work in the same buildings (now restored) that were used by the Knights of St. John 600 years ago. The medieval town was laid out on the pattern of the French cities of the 14th century. A wall divided it into two unequal sections, the northern part (called Castello or Collachium), with its inner Acropolis and the official buildings of the Knights, and the southern and larger part where the ordinary people lived. This division of Rhodes was not an innovation of the Knights but a defensive norm in the Middle Ages, in both East and West. A tour of the medieval town is quite a lengthy business, given the number of monuments there are to see. The walls with their bastions, battlements, towers and gates cause one to gasp in wonder. The imposing buildings, with their coat-of-arms, majestic gateways, decoration in relief, Gothic windows, paved courtyards and old lamps take one centuries back in time, as do the narrow streets and the old churches.